"I do not pretend to understand the moral universe; the arc is a long one, my eye reaches but little ways; I cannot calculate the curve and complete the figure by the experience of sight; I can divine it by conscience. 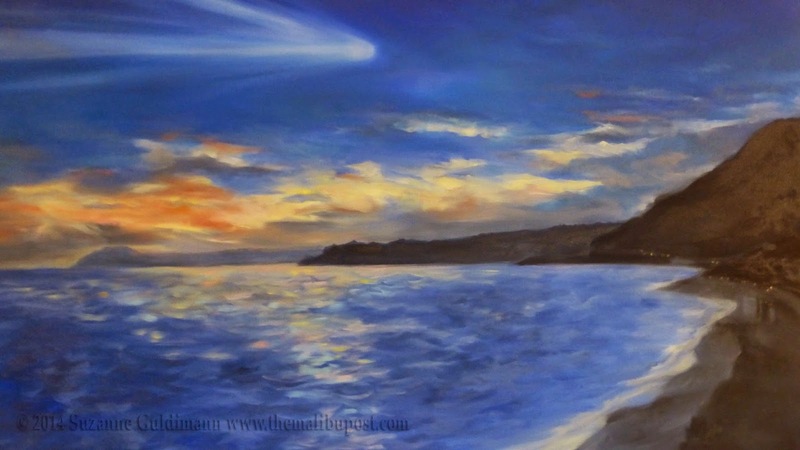 And from what I see I am sure it bends towards justice." “It’s like trying to decorate a cake before you’ve baked it.” That was a comment from one of the participants at the recent Malibu Civic Center Design Standards open house event at Malibu City Hall. The 10-member design standards task force, chosen last week by the city council, will be working with an urban planning consultant firm and architect to develop an aesthetic for future Civic Center development. I liked the cake analogy, but it made me think, why cake at all? Why are the current commercial developers so determined to have their cake and to force us to eat it? And why do we have to put up with bloated, super-sized, over-sweetened development deals, and the attitude that everything will be fine if we just cover the whole thing in an aesthetically pleasing layer of fondant? Measure R seeks to give voters a voice in any future commercial development in excess of 20,000 square feet anywhere in the city, and limits chain stores to 30 percent. It's on the November ballot because of overwhelming concern over the rapid mall-ification of the Civic Center, but also from the fear that rampant commercialization will spread throughout the community. This photo shows how close the Civic Center, which sits in the Malibu Creek floodplain, is to the ocean and the fragile Malibu Lagoon. Everything is interconnected. The Let Them Eat Cake attitude is a large part of why Measure R is on the ballot, and while the opponents of the measure can threaten that the world will end if it passes, it might be helpful if they kept in mind that the tide of anger and frustration that generated the Measure R movement is continuing to gather steam. Very few Malibuites want to see the current exponential growth in Civic Center area gridlock get worse. Turning the center of Malibu into a shopping destination may delight landlords but does remarkably little for the people of Malibu or the 10 million beachgoers who endured the travails of PCH this summer for a day on the beach—more than six million of them headed past the Civic Center to Zuma, according to Los Angeles County Lifeguard statistics. And the opponents of Measure R? Although the mailers continue to state that they are paid for with "major funding from Whole Foods and the Park, LLC-retail shopping center," Whole Foods has disavowed any connection to the political campaign. According to the most recent official campaign finance report, the sole financial contributor to the No on R campaign is commercial real estate developer Steve Soboroff, who has donated $50,000 to defeat the initiative. Measure R would enable Malibu voters to weigh in on every commercial development in excess of 20,000 square feet. It also caps new formula retail—chain stores—at 30 percent per shopping center. Soboroff owns a key parcel of commercial real estate in the Civic Center. If Measure R passes, Soboroff’s six-acre "Whole Foods in the Park" shopping center project will require voter approval because it exceeds 20,000 square feet. 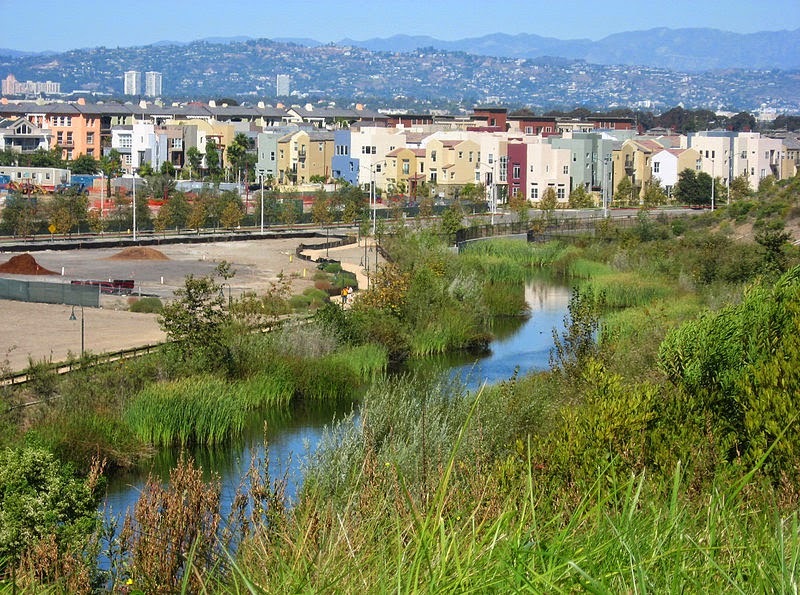 And even in Playa Vista, that brand new coastal city rising out of the Ballona Wetlands and on the bones of over 1000 dead Tongva Indians whose remains were discovered after construction on the controversial project began (they were reinterred on a nearby hill), the issue of commercial development is a problem. "No one wanted the retail to be so large and such a draw that it would become its own mall-like destination," said Con Howe, former planning director for the City of Los Angeles. "Retail will clearly attract some people from the larger area... but it won't become a big shopping mall." In the case of the Playa Vista Village, “an appellate court found deficiencies in environmental review, [and] Playa Vista was forced to revise its analysis and seek a new round of city land-use approvals,” according to a 2010 Daily Breeze article. The No on R campaign has cast a lot of aspersions on Measure R proponent Rob Reiner and the other entertainment industry professionals who have contributed to R. “They don’t live here,” the NO camp argues. Never mind that neither does the leader of the opposition. Perhaps if he did, he would know that those celebrities have always supported the local community, shopping at locally owned business (remember when we still had lots of those? ), hiring local kids to babysit and run errands, and volunteering time and money to local causes. 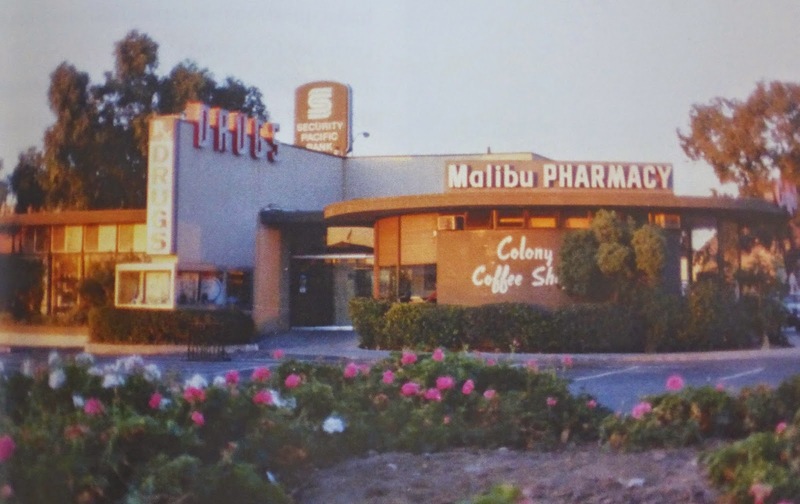 Dozens of Malibu entertainment industry professionals campaigned to save the historic Colony Coffee Shop, torn down by developers to make way for the Ralph's Market shopping center. Celebrities have campaigned for cityhood; for Malibu urgent care, Malibu's schools; the California Wildlife Center; saving the Point Dume Headlands from, yeah, you guessed it, developers; even passing the coastal act. Can you think of the last time an out-of-town commercial developer did anything lasting and meaningful that wasn't part of a settlement agreement or a Coastal Commission condition? I can't. Photo unattributed. And never mind that Reiner has had a house in Malibu for decades and is an active member of the community. In a way, it all boils down to the difference between doing good and doing well. Rob Reiner, the spokesperson for Measure R, is attempting to do good, while the architect and apparent sole financier of the No on R campaign, seeks to do well. 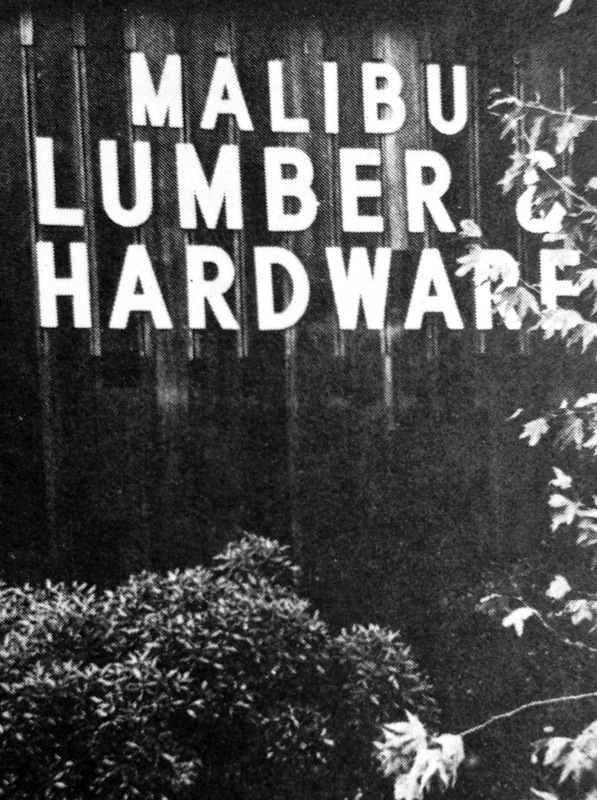 Remember when you could actually buy lumber at the Malibu Lumberyard? Today the old hardware store is "an oasis of style," and in the view of many Malibuites, when the city obtained the property and became a commercial landlord, making the decision to transform the lumberyard into an "oasis of style," the paradigm shifted from the need to do good to the need to do well. How can an entity that is now a major player remain entirely neutral, they argue. There’s nothing wrong with doing well. Having your cake and eating it too is a cornerstone of capitalism, but it often doesn’t end well when you attempt to force other people to eat that cake. The projects already in the pipeline for the immediate future of the Civic Center—Soboroff’s Whole Foods shopping center, the 132,000-square-foot La Paz development next to it, the Santa Monica College satellite campus, and the commercial development planned for the lot that is currently used for the Chili Cook Off, already threaten to increase traffic and parking past the tipping point, and those projects are just a fraction of the development planned for the area—more than 1.5 million square feet, if one includes Pepperdine’s new 5000-person stadium, which the city has absolutely no control over; the proposed hotel/condominium/timeshare complex recently transformed into a proposal for a 45,000-plus corpse cemetery opposite Pepperdine; the six-house subdivision at Bluffs Park; and the sports complex the city hopes to build in its newly acquired Bluffs Park Open Space. 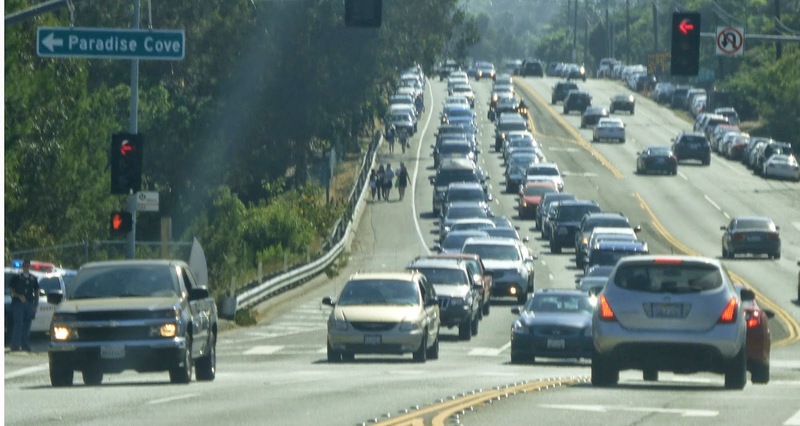 Measure R proponents point to the perpetual weekend traffic jam at Paradise Cove as an example of how even just one business' change in density can have a cascade effect on traffic and quality of life. At Paradise Cove, that change involved allowing patrons to bring alcohol to the beach, and the installation of private cabanas and other on-the-sand day-use amenities. It is admirable that the city is seeking to develop an aesthetic for future development in the Civic Center area, but the design standards can’t limit the scope of that development and won’t help if the transformation from community necessities to international shopping destination continues at the current pace, because the Civic Center area traffic, already at critical mass on weekends, will make Malibu unlivable. That traffic also impedes visitors’ access to the beach. And that's just in the Civic Center area. Turning the Malibu Civic Center into a "shopping destination" is rapidly transforming Pacific Coast Highway into a year-round weekend parking lot. This photo was taken on a summer Friday afternoon. On weekends, it can take half an hour to snail down the hill and over the Malibu Creek Bridge, while northbound traffic backs up all the way Las Flores Canyon. 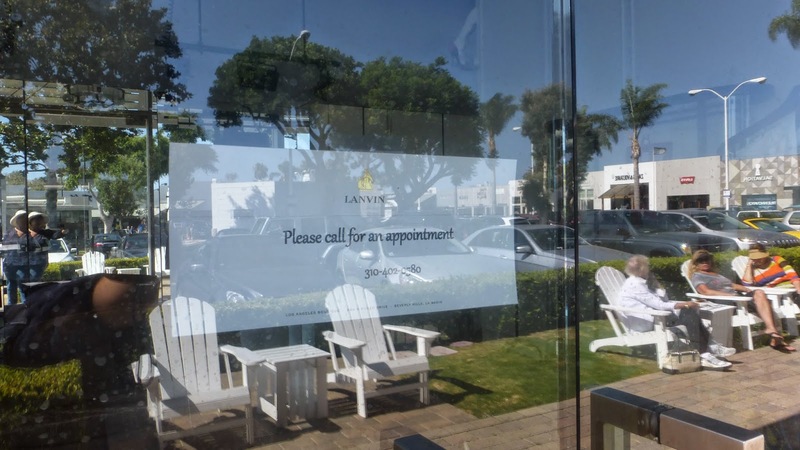 For months now, the sign on the door of this international boutique chain store has read: "Please call for an appointment." Here's another sign no one wanted to see. 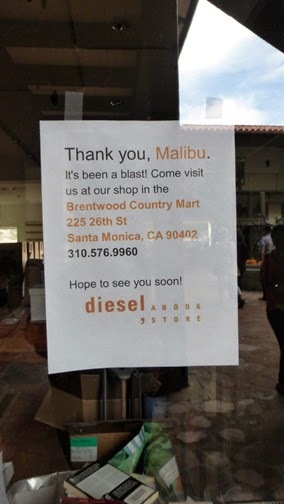 The loss of Diesel Bookstore was especially poignant for me, because the space it vacated was the same space where my family had their gallery for nearly 20 years. Malibu was rocked this week by the news that the Malibu Country Kitchen at the corner of Las Flores and PCH for more than 40 years, just lost its lease. The owner of the building died recently and her heirs sold to an out of area developer who reportedly plans to bring in a Northern California burger chain to fill the location, according to a report in the Malibu Times. A wide cross section of the community is supporting Measure R because Malibu residents want to have a say in the future of Malibu. Not a token say, not what my dad used to call wheel spinning—events where you fill out questionnaires and write suggestions on Post-It Notes—but an opportunity to directly weigh in and be heard. Malibu is the only municipality located entirely within the boundaries of the Santa Monica Mountains National Recreation Area—a national park with all the same protections and significance of larger and more famous parks like Yosemite. This community has a real responsibility to protect and preserve our environment. 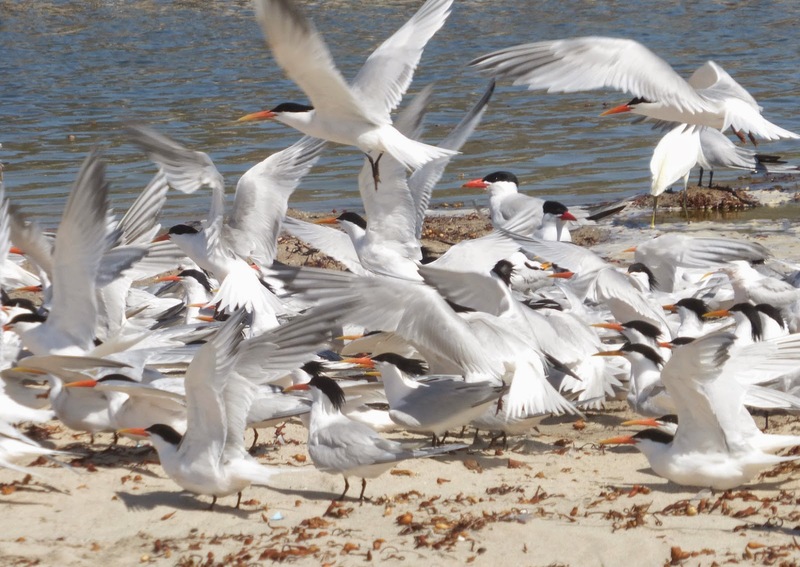 Traffic congestion, air pollution, wastewater, buildings and hardscaping have a direct, measurable negative impact on wildlife like this mixed flock of elegant and foresters terns—California Species of Special Concern. 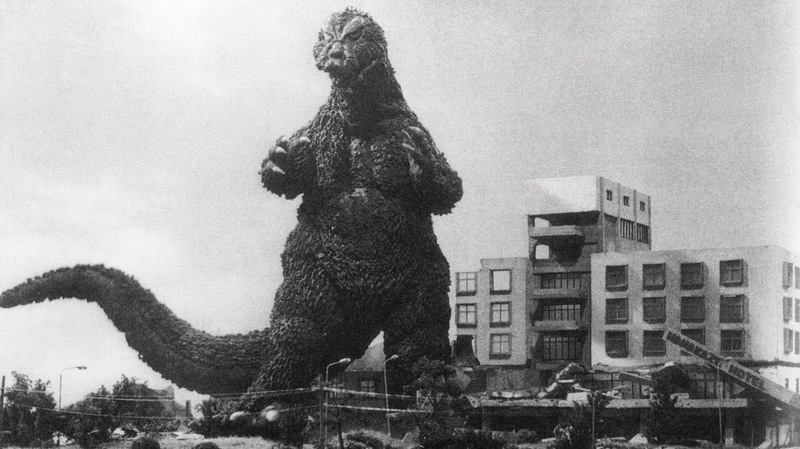 This issue is about far more than aesthetics or human livability. Measure R won’t stop development and it can’t cause a major increase in development (or the sky to fall). What it is intended to do is to make developers stop and think about the needs of the community. If a proposed project is something the majority of Malibu residents think the community needs, it will pass the process. Essential services, including urgent care and grocery stores, are exempt from the chain restrictions and if the developers don’t seek variances and floor area ratio increases in excess of 20,000 square feet their projects won’t trigger a vote. If Measure R passes I'm willing to bet it won't cause the sky to fall. If we're lucky it will simple encourage developers to mitigate the impact of their plans on the community and maybe find a way to scale things down. 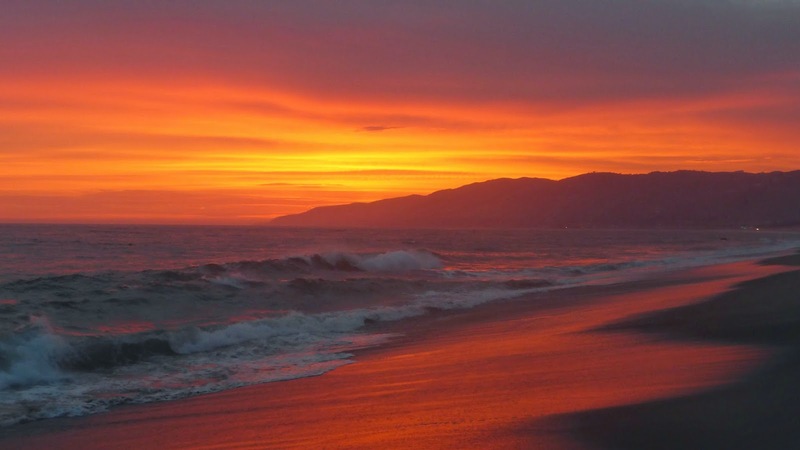 Malibu is a unique land and marine environment and residential community whose citizens have historically evidenced a commitment to sacrifice urban and suburban conveniences in order to protect that environment and lifestyle, and to preserve unaltered natural resources and rural characteristics. 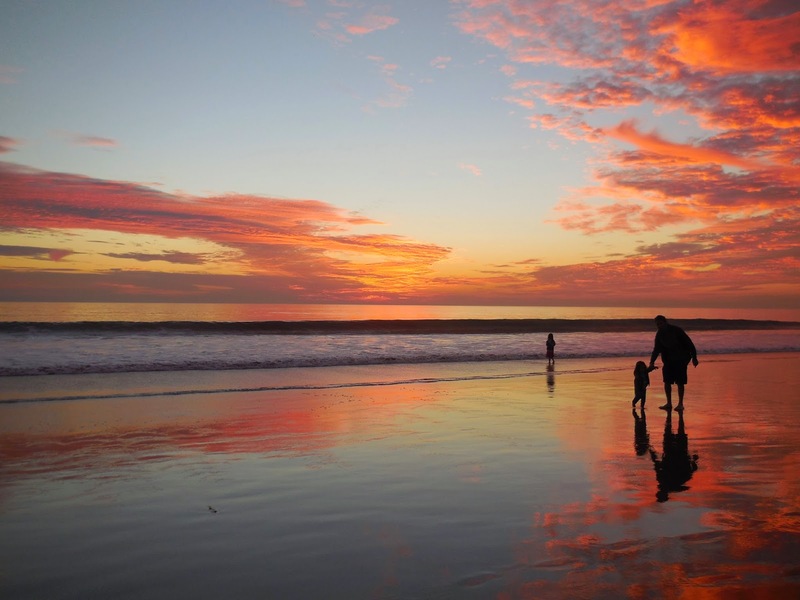 The people of Malibu are a responsible custodian of the area’s natural resources for present and future generations. Malibu will provide passive, coastal-dependent and resource-dependent visitor-serving recreational opportunities (at proper times, places and manners) that remain subordinate to their natural, cultural and rural setting, and which are consistent with the fragility of the natural resources of the area, the proximity of the access to residential uses, the need to protect the privacy of property owners, the aesthetic values of the area, and the capacity of the area to sustain particular levels of use. And the commercial real estate interests funding the No on Measure R campaign? 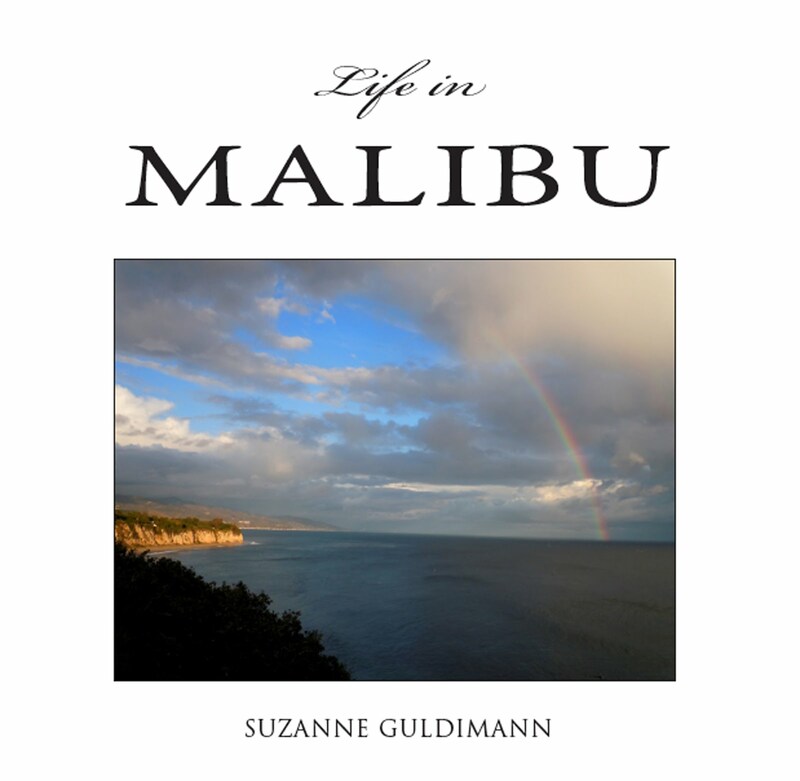 They have their own vision and mission for Malibu, one that involves doing well, not necessarily doing good. It would be nice if, in the end, we could all work together to do well by doing good. I guess we can always hope. It's the beauty and majesty of nature, not a shopping destination, that draws all of us—residents and visitors—to Malibu. Most of us would like to keep it that way.